Eyebrows, they have the magic ability to transform your face while being the only facial feature you can drastically alter without bloodshed. A good, arched brow - works better than Botox (it can knock years off you) and yet I see so many neglected ones, I could cry. I tell anyone who'll listen to get their brows shaped professionally, because it has an incredibly impressive cost/effort/result ratio. Truly, we are talking as little as a tenner and half an hour to set up your brows for a lifetime of simple maintenance. Forget cruel tweezing and waxing, I strongly recommend the Oriental threading technique. 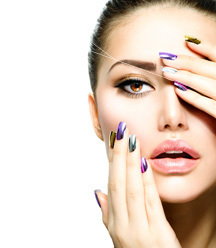 Unlike waxing, threading is the primary choice for sensitive skin and lines are much cleaner and precise. Unlike tweezing, threading deals with multiple hairs at once thus reducing pain 10 times while being also 10 times quicker, and ingrown hairs are much less likely. There seems to be no correlation between cost and skill, so book a consultation beforehand.Get your beauty professional to thread only below the brow, not from above, and to clean up between the eyes and anything drifting towards the temple. It might hurt just a little. You will sneeze. But you will look fabulous. Threading is an ancient natural hair removal method. It is the best and most natural way to remove facial hair. Threading specialists use a cotton thread to remove unwanted facial hair. This techique has become widely accepted and popular in US as one of the safest methods for facial hair removal. 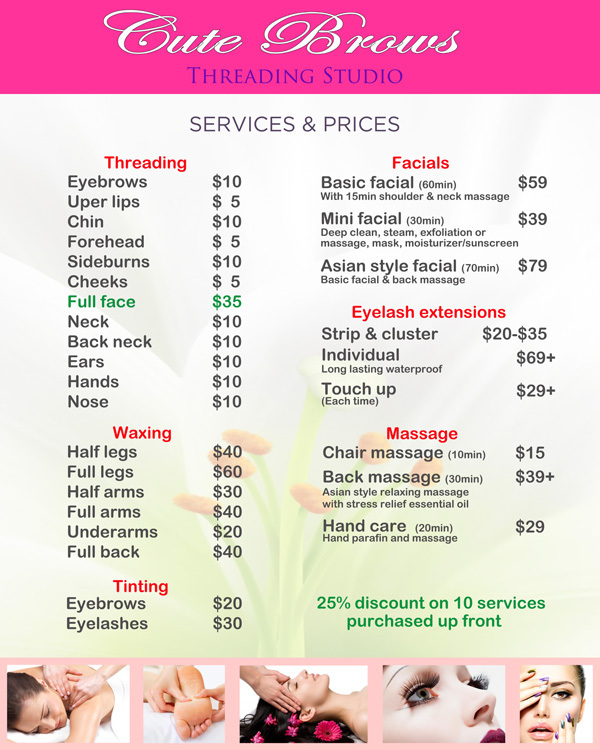 What is special about our Oriental CuteBrows™ Threading? Hygiene. We use the neck and hands to control the thread, removing the hair from the skin. This method is different than most others, which use mouth control of the thread. ** Dear Visitor: It is our goal to make this site enjoyable for you. In return, I only ask you, please BOOKMARK this page to your FAVORITES for your best look, and send a link to your friend. This will allow us to maintain the best service at the best price for you. Copyright © 2013 CuteBrows™. All rights reserved.